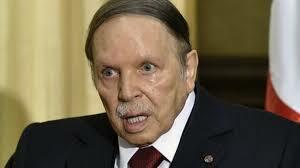 The ruling FLN party has ended suspense by naming President Bouteflika as its candidate for a fifth term in April 18 elections. The move comes after parties in the government coalition voiced support for a fifth term of the 81-year old president who has not spoken in public since suffering a stroke in 2013 that confined him to a wheelchair. The decision will further ignite opposition in Algeria where calls for a boycott of sham elections are on the rise. Prime Minister Ouyahya threatened to crackdown on calls for election boycott if the opposition parties resort to mobilizing people on the streets. Political analysts see in Bouteflika’s candidacy a sign of a silent crisis within the different clans within the Algerian regime who are interested in maintaining the authoritarian status quo. Keeping Bouteflika in power through elections offers a democratic facade for an opaque regime controlled by powerful generals and wealthy businessmen close to the President. The elections also take place as dissent rises in Algeria’s large south and other marginalized areas over degradation of living conditions, inflation and unemployment following a drop in oil revenues, the main source of income for Algerian finances.